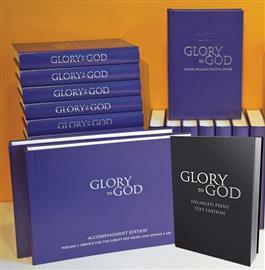 This small church kit contains 25 copies of the pew edition, in the purple ecumenical edition, one accompaniment edition, and one hardbound words only enlarged print edition. Bundle price: $499, a savings of $136. That's like getting six pew editions for free!